which stand for Nes Gadol Hayah Sham, a Great Miracle Happened There! which stands for Nes Gadol Hayah Po, a Great Miracle Happened Here! And so, wherever you may be right now, we wish you a very happy Hanukkah! But don't try this at home, kids! Just have a happy and safe Festival of Lights! And here's another neat video with a bit of a promotion that we have no stake in or connection to, but that may be of interest, and may be worthwhile. The video features three Hanukkah songs, The Chanukah Song, Burn Little Candles, and Hanukkah, Happy Holiday. The songs are lovingly performed, displaying lyric and chords so you can learn to play them yourselves. And most significantly of all, they are presented in the video along with music therapy applications. On the YouTube page it says that you can download the songs for free at the http://musictherapytunes.com music page! And with that, we conclude by saying, have a very zazzy, and loving Hanukkah!! Boys Town Jerusalem is a high school in Jerusalem, Israel which has over 900 boys from grades 7 to grade 12 and a 2 year post high school engineering program. Once the boys graduate they continue on to enlist in the IDF (Israel Defense Force). More than 75% of the boys come from economically disadvantaged backgrounds and require substantial scholarship assistance. No student is ever turned away from Boys Town Jerusalem due to inability to pay tuition. For more information about Boys Town Jerusalem, please click here. Here's a Hanukkah medley to enjoy on this Monday morning! Hanukkah oh Hanukkah - a Pentatonix-style music video mashup from Jewish a cappella group Shir Soul is certainly a unique take on traditional melodies. And on behalf of Congregation Adas Emuno, we wish you and your loved ones a very happy and harmonious Hanukkah! As we prepare to celebrate Hanukkah, please enjoy this video, Six13 - A Hamilton Chanukah (introduced by President Barack Obama), and yes, they did perform at the White House! 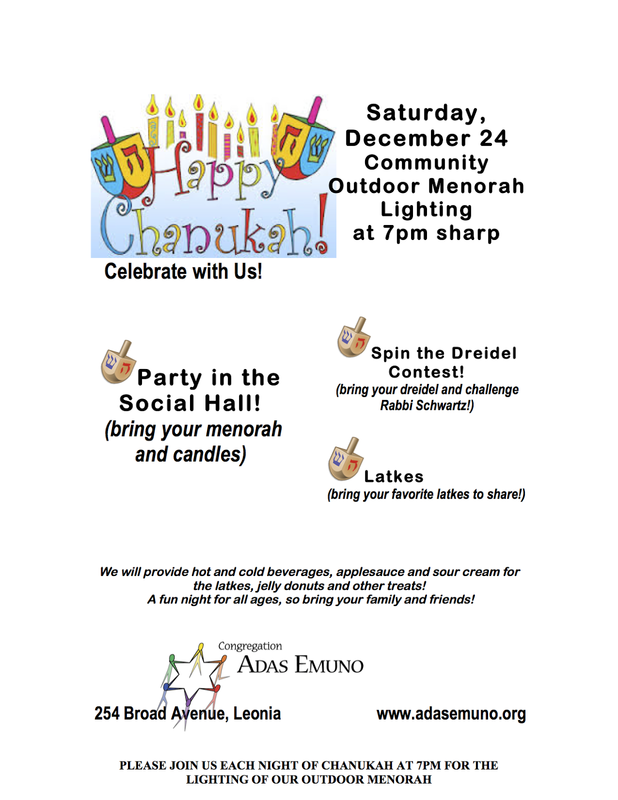 And join us at 7 PM sharp tonight and every night of Hanukkah for the lighting of our menorah right outside of our shul, and tonight and tonight only, followed by our annual Hanukkah party! With hopes of warming your heart during these cold days of winter, and looking forward to springtime, we are pleased to share with you this recording of this year's Purim spiel performance, held on March 23, 2016. 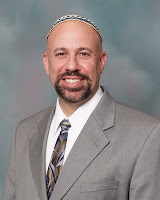 The title of this year's Purim spiel is Shalom Shushan, and it is an original work. Any other congregations or Jewish groups out there who are interested in using it for their next Purim celebration, you can contact us via email: adasemuno at gmail.com. The script is available online for all to read via the following link: Shalom Shushan. Last year's script is also available online: The Schnook of Esther. Congregations and other groups can read it first, and are on the honor system regarding donations to our social action fund if they decide to use it. This is raw footage, not a professional production, and there are some technical difficulties, and admittedly the players ought not to quit their day jobs. But it is a lot of fun to watch, and it's clear that it was a lot of fun to put on. And in case you missed them, or want to watch them again, here are two performances of last year's Purim spiel: A Summer Purim Spiel and A Winter Purim Spiel. Jews and vampires don’t mix. Or at least they don’t mix easily. 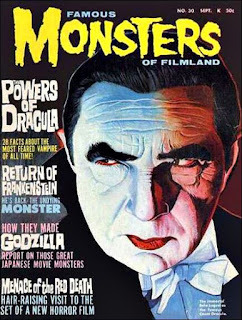 As a kid growing up in the 60s, I remember picking up a copy of a magazine, Famous Monsters of Filmland, and reading all about Dracula and the other creature features produced by Universal Studios and their rivals. 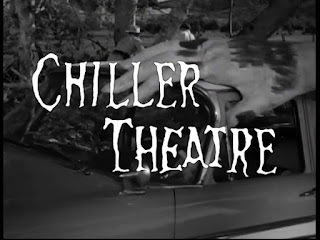 The original Dracula motion picture was released in 1931, so it wasn’t a movie I could see at the local cinema, but those of us who lived in the New York metropolitan area did have Chiller Theatre, hosted by Zacherley (“The Cool Ghoul”) on Channel 11 WPIX. 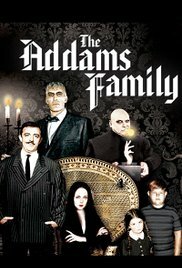 When I learned that my father was born in Transylvania, which meant that I was half-Transylvanian, I was delighted. It meant that I was a bit cool myself. I asked my father if he knew Bela Lugosi, the Hungarian actor who played Dracula in the original movies. My father was born before World War I, when Transylvania was a part of Hungary, so it seemed altogether likely to me that he would know the famous film star. My father joked that he knew Bela Lugosi, but Lugosi didn’t know him. The one bit of dissonance that I encountered in reading about the powers and weaknesses of vampires was the idea that they could be warded off by a crucifix or cross. Vampire lore fit into a Christian cosmology that Jews were not a part of. The 1979 comedy film Love at First Bite, starring Richard Benjamin as psychiatrist Jeffrey Rosenberg, plays on this problem in a scene where he tries to combat Dracula by reaching for his necklace, resulting in a moment of suspense as Dracula recoils in anticipation. But much to the vampire’s relief, he pulls out a Star of David instead. 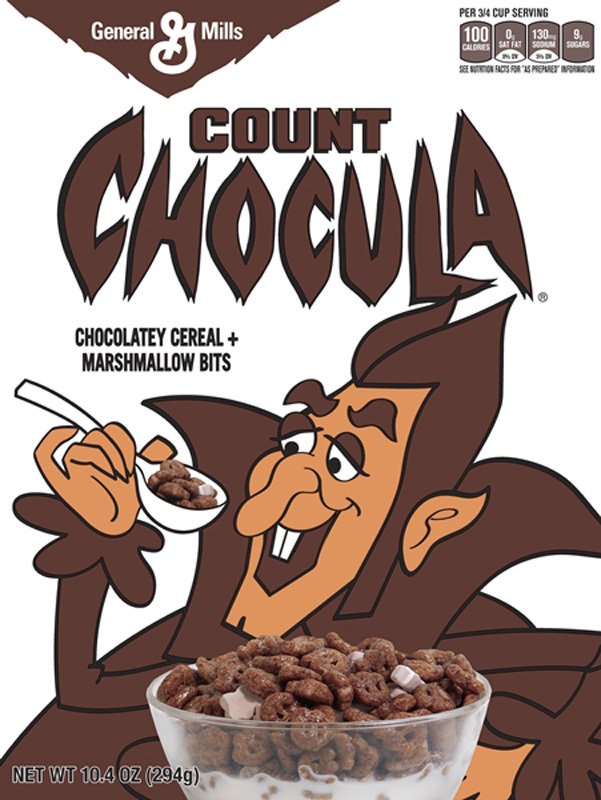 Indeed, in many ways I found it easier to identify with the vampire, given my aversion to Christian symbols. I grew up seeing them as the symbols of people who for close to two millennia had oppressed and persecuted us, culminating in the pogroms and the Holocaust that both of my parents lived through. It helped that I was a bit of a night owl as well. This was long before the emergence of vampire subcultures, an offshoot of the Goth movement, inspired by the vampire novels of Ann Rice, and the Twilight young adult fiction and film series, featuring “Bella” Swan as the willing paramour of a handsome young vampire. 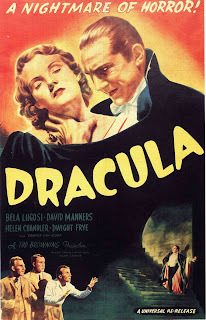 These and other new takes on the vampire mythos tend to downplay or eliminate its Christian-specific elements, and otherwise sympathize with, sometimes glamorize, and otherwise normalize what once was considered monstrous. The recently concluded HBO series True Blood also falls into this category, and while not featuring any Jewish characters, introduced Lilith as the mother of all vampires in a scene in which contemporary vampires took part in ritual drinking of blood while chanting in Hebrew. This was more than a little disturbing, given the long history of the blood libel used as justification for anti-Semitism. 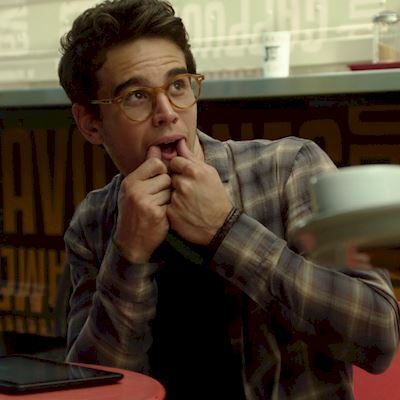 This summer, I caught up with the Shadowhunters series on the Freeform cable channel. Like the Twilight movies, Shadowhunters is a young adult novel adaptation. 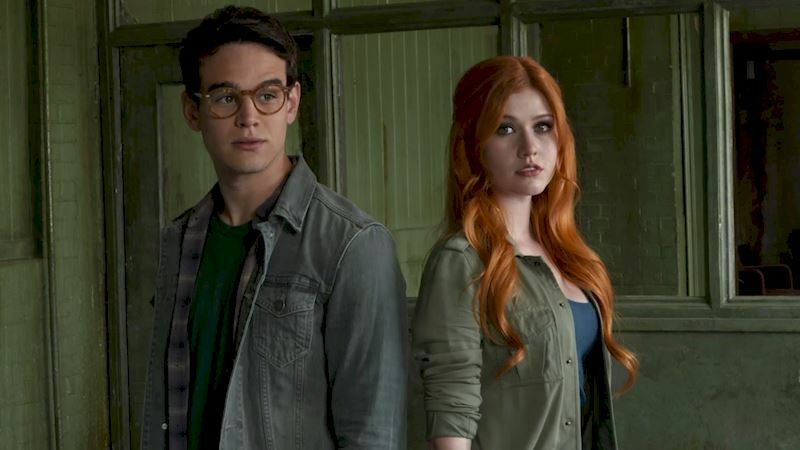 The main character, Clary, learns that she is one of a small number of people of mixed ancestry—they’re part angel—and they are called upon to battle demons as shadowhunters. Her best friend, Simon Lewis, is Jewish, and as played by the Alberto Rosende he comes across as a typical Jewish nebbish type, of the sort made famous by Woody Allen, neurotic, fearful, and nursing his unrequited love for Clary. 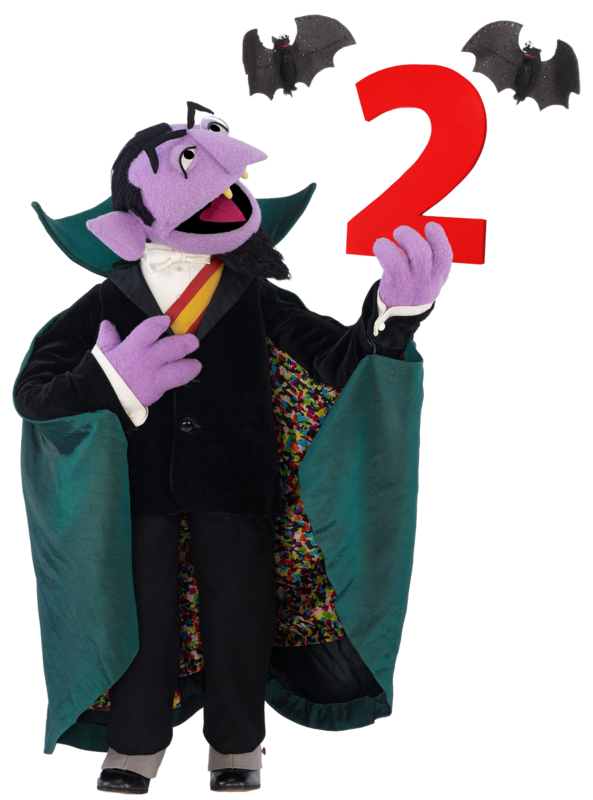 Until he is turned into a vampire, at which point he becomes cool, competent, and charismatic. According to synopses of the book series online, when his devout mother eventually learns of his conversion, she throws him out of their house. At a later point in the narrative, he thankfully is restored to human status. The narrative may be typical of young adult fiction, and the character somewhat stereotypical, but the way that Jewish characters are inserted into the vampire narrative is both original and commendable. 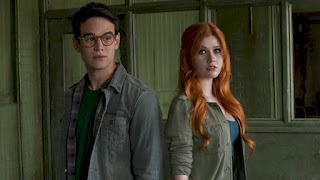 It is no coincidence that the author of the bestselling series, The Mortal Instruments, upon which Shadowhunters is based, Judith Rumelt, who uses the pen name Cassandra Clare, is Jewish. When it comes to quality television, my award for best series in the horror genre goes to The Strain, now in its third season on FX. 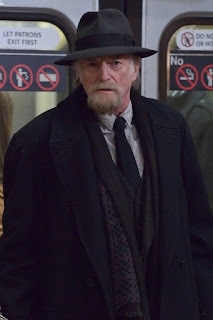 Created by respected Mexican film director Guillermo del Toro and novelist Chuck Hogan, The Strain is set in New York City, and one of the elements I appreciate about the series is that it takes place in neighborhoods all over the five boroughs and has a real New York sensibility. The plot line is reminiscent of contagion and zombie apocalypse genres, combined with elements drawn from the Alien film series, and science fiction stories about doubles taking the place of their human counterparts, such as Invasion of the Body Snatchers. These elements meld together to form an altogether original vampire narrative, one in which the supernatural elements are absent, and the strigoi (the Romanian word for vampire used in the series) are the result of a parasitical worm that takes over and transforms its host. The leader of the strigoi is known as the Master (an allusion to the Nazi reference to the Aryan “master race”), an ancient strigoi who can exert complete psychic control over his spawn. His second in command, one of the few strigoi granted free will, is Thomas Eichhorst, who was the Nazi commandant at Treblinka, and Setrakian’s torturer. It follows that The Strain can be understood as a metaphor for authoritarianism and fascism, and this wouldn’t be the first time del Toro used fantasy elements in conjunction with this sort of political critique, as can be seen from his 2006 film Pan’s Labyrinth. 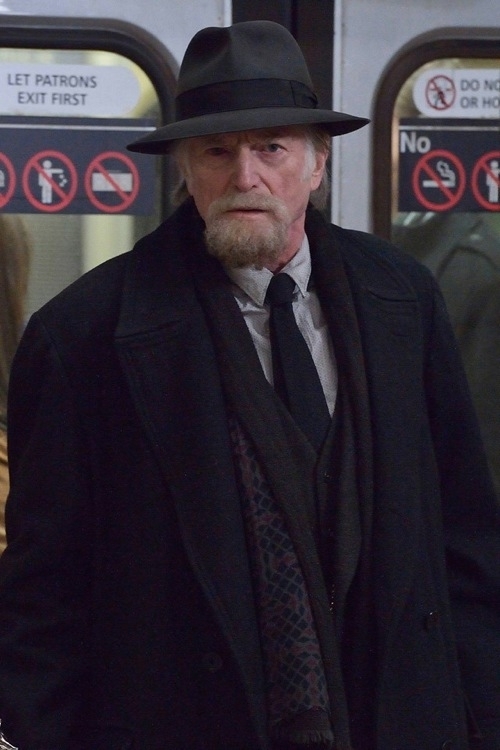 All of the heroes in The Strain are flawed characters, and Setrakian is no exception. He is cranky and humorless, obsessed and ruthless as a vampire hunter, but also intelligent, learned, and the one who recognizes and understands the threat most clearly. The victim of great trauma, he is only occasionally show as deserving of our sympathy. This parallels the way that Jews, and Israel, are seen by many today, both in the United States and abroad. Don’t get me wrong. I applaud the way in which del Toro has allowed a Jewish character to take a leading role as a vampire hunter in a vampire narrative. Having eliminated the supernatural themes from the vampire mythos, it is not surprising that Setrakian’s Jewish identity relates only to his ethnicity. But del Toro missed an opportunity to transcend the stereotypical fully by including something of his religious tradition, by showing that the source of his strength is derived from his belief in the value of human life, the pursuit of justice, and a sense of spirituality. As I begin my 33rd year in higher education, I can’t help but notice that my students are getting younger and younger every year—while I myself haven’t changed a bit. Cell phones have caused my students’ bladders to shrink. I know, I know, it may be hard to see the connection, but the correlation is quite clear. It used to be that students could sit through a class of approximately an hour and fifteen minutes without a problem, and it was rare that someone would need to get up in the middle of class to go to the restroom. It would happen, of course—we all are human, after all—but not very often. But somehow, increasingly in recent years, students have needed to go more and more often. And this coincides with the fact that, just like the rest of us, they have come to carry their mobile devices with them at all times, including to class. Many of them try to hide their cell phones, keeping them on their laps, which is why I think the devices are having a physiological effect. I do try to point out, by the way, that this maybe isn’t the best place to put your cell phone, at least not if you plan on having children some day. I point out that mobile devices do generate electromagnetic radiation, and that we really don’t know for sure how that affects the body. Do you really want to take the chance? Of course, I know that the sudden rise in students excusing themselves during class is not due to the effects of cellular signals on their bodies, but rather to the effects of text messages on their minds. The magnetic pull of our mobile devices is altogether extraordinary, and affects all of us, young and old. There even is a new word to describe the compulsion, FOMO—Fear Of Missing Out. The fear is nothing new, but never before has it been so intense and unrelenting. And while our smartphones may be the cause of it all, it has nothing to do with the fact that they are telephones. Remember the days when everyone had a distinctive ringtone, often a few seconds of a favorite song? When every day we saw ads that urged us to buy special ringtones from a selection of thousands? Remember how we spent a considerable amount of time deciding which one to set as the mark of our own individual identity? Funny how those days have come and gone. And the upside is that there are fewer instances when cellphones ring at inopportune times because their users forgot to put them on silent (or turn them off, something almost no one does anymore). They don’t interrupt services, or a theatrical performance, or a class, very much any more. The ringing was more intrusive, but at least we all were embarrassed when it happened, and often enough would not answer it. Texts and status updates are nowhere near as obtrusive as ringing phones, but for that reason they are so much harder to ignore. The desire—for most of us the need—to check the new message, and to respond to it immediately, is all but overwhelming. And you may think that no one sees the light from your phone shining in the darkened movie theater, but we do. That’s why theaters now ask their patrons to turn them off. And you may think that no one sees you reading your messages or even responding to them during services, but we do. Back in the day, when a New York team was in the World Series and a game was being played during Rosh Hashanah or Yom Kippur, there might be a congregant who came to services with a transistor radio and earpiece. But he (inevitably it was a he) would step outside the sanctuary or shul to get the update. He wouldn’t listen to the game in the pews, and everyone understood that this was a singular exception. And my students may think that their professors don’t see what they’re doing, but we do. We can see that they’re looking down and tap tap tapping on something with their fingers. Or for the ones with laptops, we can tell when their eyes are glued to the screen, and they’re furiously typing away far and beyond what might be warranted by taking notes in class. So why do they get up and leave during class? Perhaps it is out of a sense that they’re doing something inappropriate for class, but Sherry Turkle offers a different explanation in her insightful book, Reclaiming Conversation: The Power of Talk in a Digital Age. They are seeking solitude so that they can focus on crafting a response without being distracted by the class. They see it as editing and creating the best possible version of themselves. . . . . . . . . . . .......... . . . . . . . . . .
Turkle is rightly concerned about the negative effects of our smartphones on all of us—and especially on the young. That we forget or never learn how to deal with boredom, how to let our minds wander, how to daydream, and how to interact with others in a meaningful way. Messaging means never having to apologize, not really, not in a way that forces you to recognize the effect you have had on others, to see it in their faces. Messaging means you never have to stumble through awkward silences, difficult exchanges, never have to go the effort of really relating to someone else. Conversation among friends, family members, and co-workers is becoming a lost art. Texting is safe, unless of course we’re driving. Think about how much concern there was about talking on cellphones and driving, and how much worse it is to be texting or looking at updates on Facebook, Twitter, or Instagram! Emotionally, texting is safe, and face-to-face interaction is risky. But without risk, there is no growth. And dialogue is the best way to achieve what Martin Buber called I-You relationships, relating to other people as people, as opposed to the I-It relationships, relating to others as objects. In many ways, messaging and especially updates give us neither I-You nor I-It relationships. Instead, they simply reflect back our own selves, mirror images that show only the surface: I-I relationships. And this brings to mind the warning given by Echo to Narcissus: Better watch yourself! In his recent book, Not in God’s Name: Confronting Religious Violence, Rabbi Jonathan Sacks notes that the Hebrew Bible was meant to be heard, not read, and the stories of family conflict in the Torah, which often take unexpected turns, should be understood in this context, one where you cannot see the text in its entirety, only hear the narrative as it unfolds, step by step. It may be hard to believe, but reading silently was all but unknown until after the invention of the printing press. And this is so very important, because when we listen, we listen together, as one, but when we read silently, even if we read the same text at the same time, we read as isolated individuals. Dialogue, discussion, debate, and devotion are communal activities, very much so in the tradition of Judaism. Whether it’s learning, praying, conversing, or simply being, we all need to put our mobile devices down and just listen. Listen to others, listen to the world, listen to ourselves. After all, that still small voice that Elijah heard was not a text message. My son was about 8 or 9 when we had our first family outing to Six Flags Great Adventure in Jackson, New Jersey. As I recall, it was his first time in the amusement park, and my first time as well. And I was pleased to discover, soon after entering, an attraction called Houdini’s Great Escape. It paled in comparison to anything that can be found at one of Disney’s or Universal’s theme parks, but I was happy to have the opportunity to introduce my son to the great Jewish showman Harry Houdini. 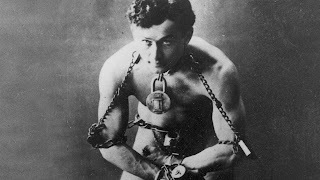 Houdini was a household name when I was growing up, immediately recognizable as the world-famous escape artist of a bygone era. 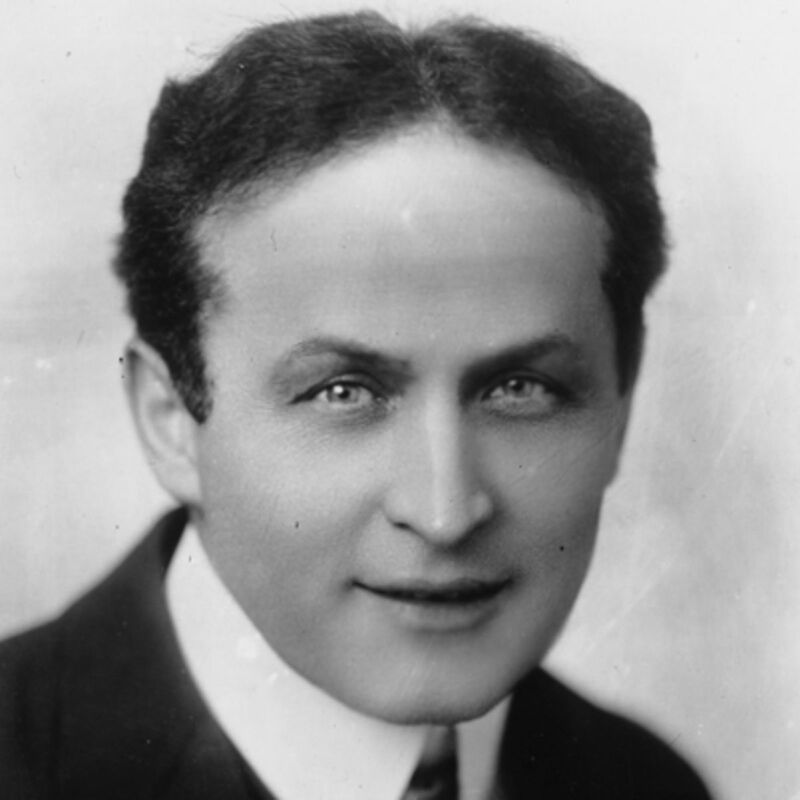 The fact that Houdini was Jewish also was well known, especially within the Jewish community. Houdini’s fame persisted long after his death in 1926, at the age of 52, but it began to fade in the waning years of the 20th century. I wonder how many millennials have heard of him these days. For that reason, I applaud Six Flags for keeping his memory alive. I am particularly grateful to all those who protested when Great Adventure closed the ride in 2008, and convinced Six Flags to bring it back in 2011. 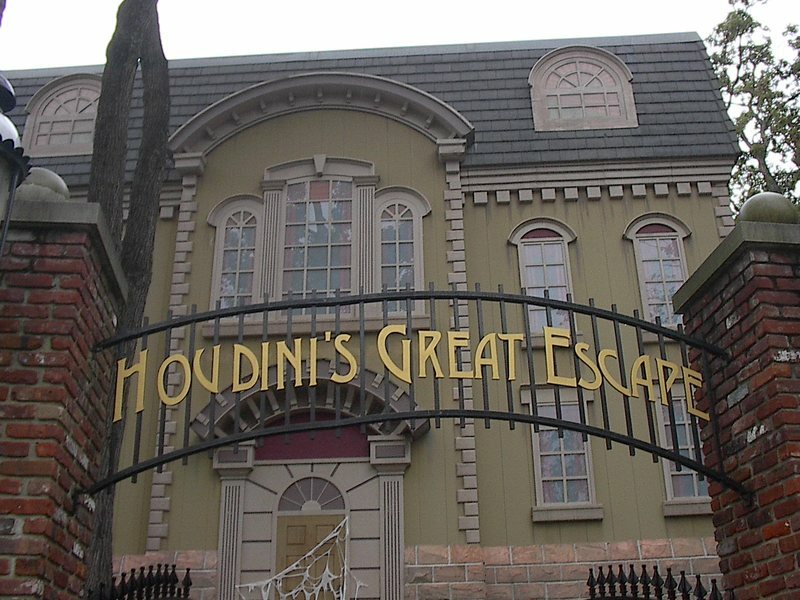 I immediately realized that Houdini’s Great Escape made a much greater impression on me than it did on him, and that there was no competing with the young adult novels by J. K. Rowling, and even more so with the Warner Bros. film adaptations, with their amazing special effects, which made magic seem real. 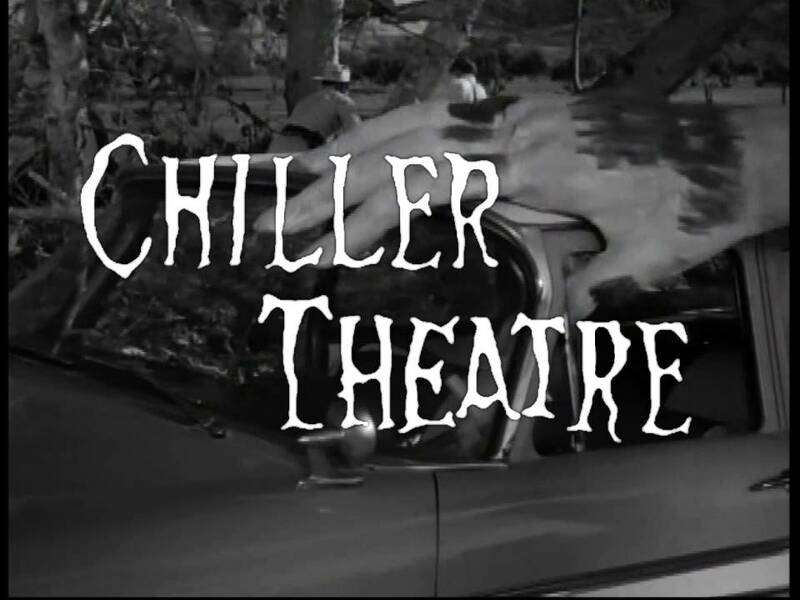 This amounts to a bit of a reversal, as stage magicians produced some of the first special effects to appear in early cinema. Houdini himself started out as an illusionist performing in vaudeville, before achieving widespread fame by specializing as an escapologist. He also starred in a few silent films between 1906 and 1923, but he did not enjoy the same success on the screen as he did in live performance. 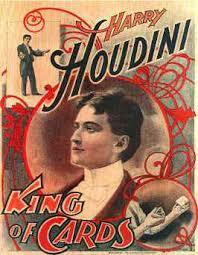 Significantly, Houdini was devoted to stage magic as a profession, and led the Society of American Magicians as president of that organization for almost a decade, his tenure cut short by his untimely death. 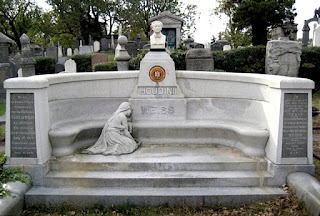 The society pays for the maintenance and care of Houdini’s grave site, which is in the Machpelah Cemetery in Queens. The monument displays both his stage name, Houdini, and his actually family name, Weiss; he was born Erik Weisz in Budapest, the son of a rabbi, and was only about 4 years old when his family emigrated to the United States. That’s when Erik Weisz was changed to the German version, Erich Weiss. 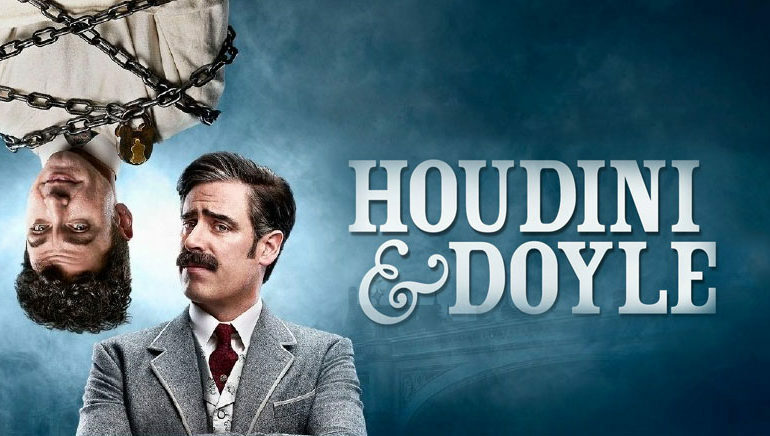 Though Houdini died almost 90 years ago, his name recently has been resurrected on television with the airing of Houdini & Doyle, a series launched last spring on Fox. It’s based on the actual friendship between the great escapologist and Arthur Conan Doyle, the British author best known as the creator of Sherlock Holmes. While drawing on bits and pieces of historical fact, essentially the series is fictional and full of anachronisms, blurring the line between fiction and nonfiction in ways that have become quite common in recent decades. The central fiction is that Houdini, who is performing in London, teams up with Doyle to solve mysteries that baffle the police. In this new series, Michael Weston (née Michael Rubinstein, grandson of Arthur Rubinstein) became the most recent of at least a dozen actors to have portrayed Harry Houdini. His predecessors include Tony Curtis, Harvey Keitel, Norman Mailer, and Adrien Brody. In this role, Weston looks Jewish, but not in a way that might be deemed stereotypical or particularly overt. His speech does not feature any obvious form of Jewish (or Hungarian) accent, although it does strike me as very similar to the kinds of voices I hear at my congregation. In short, in this series, the fact that Houdini is Jewish is downplayed significantly—but it is not entirely absent. 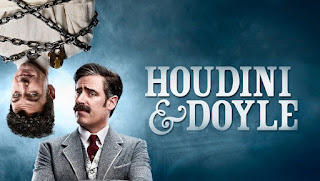 Houdini & Doyle is a TV version of the buddy film genre, a type of narrative especially commonplace in American popular culture, no doubt due to the diversity of American society. That’s because it depends on strange bedfellows, or if you prefer Neil Simon to Will Shakespeare, an odd couple team-up. The buddies often contrast opposing qualities—rich and poor, white and black, male and female, young and old, professional and amateur, and so on. The great French anthropologist, Claude Lévi-Strauss, argues that a culture’s myths are ways of symbolizing significant polar oppositions, and scholars analyzing popular culture, such as Arthur Asa Berger, have applied this approach to film, television, and other media. 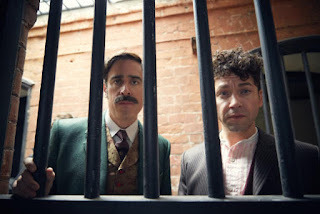 Looking at Houdini & Doyle through this lens can be quite revealing. On the one hand, it is quite positive that a Jewish-American immigrant can serve as a symbol of an American in general. On the other hand, Houdini’s Jewishness mainly is reflected in his being a victim of prejudice, as he reveals in episode 6. This also makes him a champion of tolerance, as he defends another character facing discrimination and scapegoating, which is commendable. But in this respect, there is no contrast with Doyle, who is sympathetic, albeit revealed as never having been the victim of bias, while the third main character, Constable Adelaide Stratton, Scotland Yard’s first policewoman (an anachronism), also is subjected to significant prejudice and therefore is in favor of tolerance. Having viewed seven out of the 10 episodes that comprise the first season of the program, a joint British, Canadian, and American production, I would have wanted to see Houdini’s Jewishness reflect something more than ethnicity and open-mindedness. I would have liked it to reflect as well some aspect of his religious heritage. But of course that would undercut his role as a symbol of Americans in general. Other contrasts come into play. 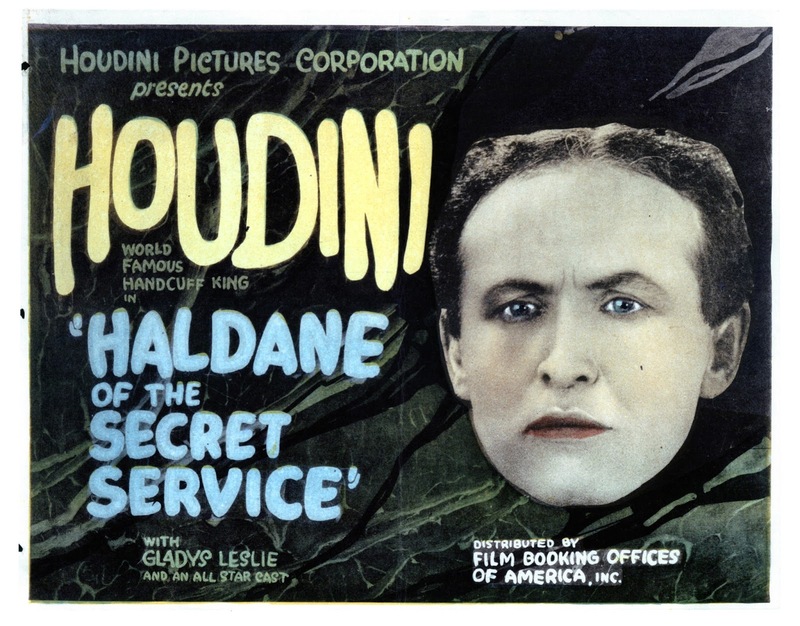 Houdini is a famous and self-promoting entertainer, while Doyle enjoys the quieter esteem accorded as an author, one somewhat embarrassed by the popularity of his Sherlock Holmes stories. Houdini’s success makes him relatively affluent and his brashness marks him as nouveau riche, while Doyle is the model of upper-middle-class propriety, as befits a physician. (That’s his day job.) There is a bit of a contrast between low and high culture, between the sensationalism of the popular performer and the reserve of the man of letters, which also maps onto the egalitarianism of American society and the elitism of the British (Doyle eventually receives a knighthood). It’s also the contrast between the rags-to-riches story of the ethnic immigrant and the conservative narrative of old money. Additionally, there is a contrast between Houdini’s physicality, as an escape artist and also as a fighter, and Doyle’s cerebral quality. The major opposition on which the program turns, however, is between Houdini as a skeptic and rationalist and Doyle as a believer and spiritualist. While the belief that it is possible to communicate with the spirits of the dead is age-old—King Saul speaks to the ghost of Samuel in the Tanach—the spiritualism movement began in the 19th century. It was inspired in large part by the ethereal (but decidedly earthly) form of communication introduced by the invention of the telegraph, and later by messages sent over the air by radio. Doyle actually was an ardent believer in spiritualism. He believed in it so strongly that this difference of opinion eventually brought his friendship with Houdini to an end. 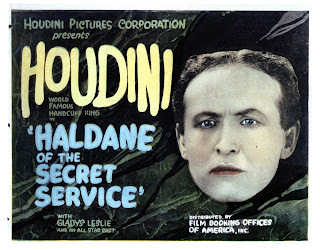 And Houdini actually was firmly committed to debunking anyone claiming to have psychic powers or the ability to communicate with the dead, invariably revealing them as scam artists using the same methods as stage magicians. Houdini & Doyle draws on these historic facts to set up the program’s main opposition. It’s similar to The X-Files, except that Gillian Anderson’s Dr. Dana Scully was the skeptic and David Duchovny’s Fox Mulder was the believer. Doyle’s scientific background as a physician does come into play when he solves mysteries, but it does not prevent him from believing in psychic phenomena. 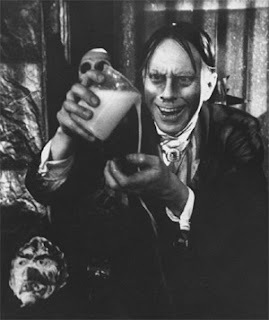 Interestingly, Houdini’s and Doyle’s roles are reversed in “The Monsters of Nethermoor,” but only because the unearthly phenomenon being investigated is, in fact, alien beings, and Houdini is willing to believe in the scientific notion that life on other planets is possible. Houdini, then, comes across as something of a 20th century Spinoza, a modern secular humanist, in contrast to Doyle’s apparent superstition. 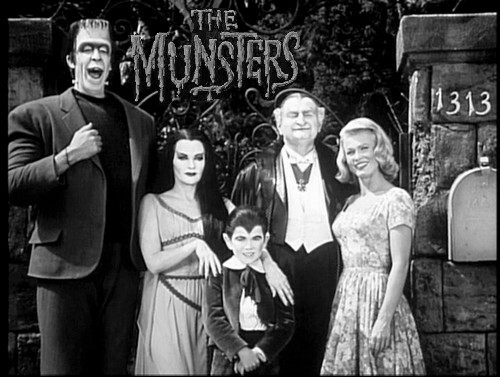 And the episodes clearly favor science over spiritualism, while portraying both buddies as sympathetic characters. Here too, however, I would wish for something more than rejection of belief on Houdini’s part. I’d have liked some positive expression of Jewish faith, its emphasis on ethics, even a touch of true spirituality. Still, I applaud the show’s creators for bringing the spirit of Houdini back to life and with renewed vigor. This doesn’t seem like the kind of program that will gain much of an audience, or even make it to a second season. But escaping cancellation may just be Houdini’s greatest trick of all. Two additional episodes have aired since I wrote this op-ed, one after it was published on June 24th. At the end of episode 8, “Strigoi,” which features their contemporary, Bram Stoker, author of Dracula, Houdini discovers that his mother has passed away. This and other matters prompts a trip across the Atlantic in episode 9, “Necromanteion” (the title referring to an invention of Thomas Edison's, who appears in the episode, that is supposed to allow communication with the dead via radio waves). The episode includes a scene of a Jewish funeral. Incredibly, Houdini is shown at the grave site minus any form of head covering, and walks out on the ritual, criticizing the solemnity of the proceedings. While the intent is to show that Houdini is suppressing his feelings of grief, it also resonates with his rejection of superstition in an unfortunate manner. The episode ends with his return to his mother’s grave to recite a Hebrew prayer, alone and therefore not as part of the Jewish community. This no doubt reinforces his connection to Doyle and Stratton, but at the cost of a positive portrayal of Jewish community, and one of the most essential functions of any religious tradition. In the final episode of the season, "The Pall of LaPier," Houdini receives spiritual advice from a native American that he finds comforting. This is a common trope in American popular culture, the "noble savage" as a source of wisdom and superior spiritual connection in contrast to us sophisticated moderns, but once again, this appears in the absence of any link to Houdini's own faith, any interaction with a rabbi, and almost not acknowledgement of Jewish mourning rituals. And just to be clear, the problem is not in this one series, but the fact that this is typical of the way that Jewish characters, whether historical or fictional, are portrayed in our popular culture. 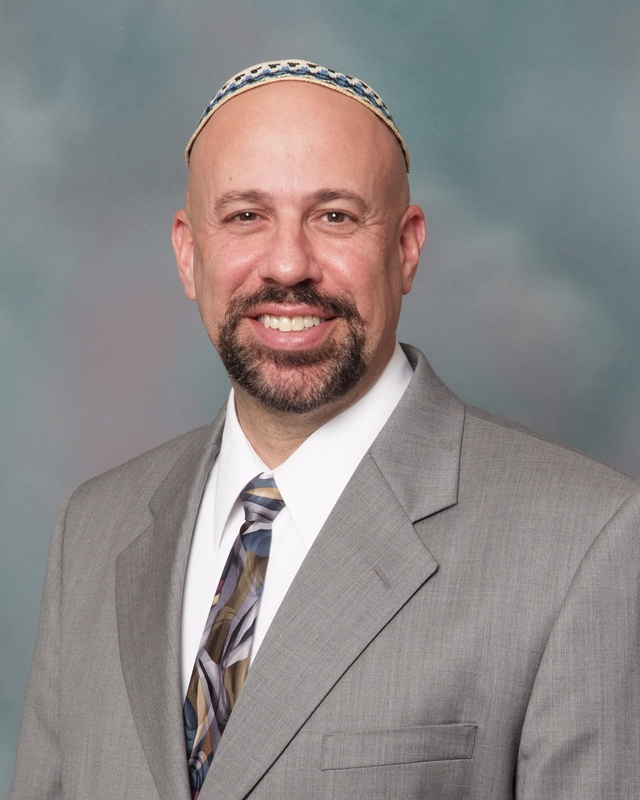 Upon discussion, it emerged that for many of our interfaith families, it was the only time that Jewish and non-Jewish members of the extended family gathered together. Indeed, Thanksgiving has always had an intriguing ecumenical appeal. As a civil holiday for all Americans, it has been a natural gathering time not only for families, but community. Such is the case right here in Leonia. Our annual Community Thanksgiving Service represents the sole meeting of our various houses of worship. While I look forward to participating in this ecumenical event each year, I have to admit to being a bit dispirited by the diminishing support for this celebration. Part of this has to do with the decline of the faith community in our town. 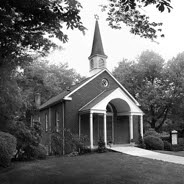 As some of you know, the Lutheran Church in Leonia has closed its doors; its lovely building was recently razed, and my colleague Rev. Peggy no longer serves its pulpit. Over at the Catholic Church, dear Sister Pat, who kept the ecumenical flame glowing there, has retired. Rev. 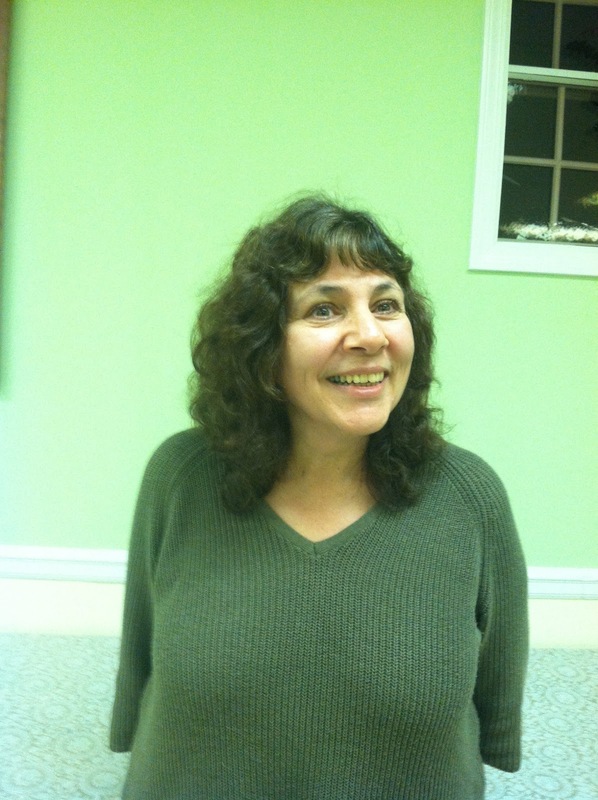 Deborah, of the Presbyterian Church, who kept us Leonia clergy organized, has also retired. But Pastor David of the Methodist Church, Rev. Dean of the Episcopal Church and I are committed to maintaining our interfaith collegiality. And we are happy to welcome interim pastor Leah of the Presbyterian Church as a new colleague. In fact, we have asked her to preach at this year’s Thanksgiving service, which we will host on Monday, Nov. 21 (8:00pm). Cantor Horowitz and talented vocalists from all our participating congregations will add to the celebration. I invite you to join us not only to show that we are good hosts, but also to show your support for the ecumenical spirit this service represents. While there are some other occasions when we may get together with other residents of our town, they are purely civil events. Thanksgiving represents a true ecumenism of shared worship and fellowship. 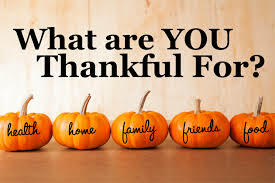 And for that I think we should be truly thankful. On Sunday, Oct. 30th, volunteers from Adas Emuno served dinner to 150 people at the shelter in Hackensack. A most sincere "thank you" to all who helped with the planning and shopping as well as to those who gave up time on a Sunday to cook, deliver, set up, serve and clean up: Andrea Feinstein, Julie Segal, Judy Aronson, Kerri Klein, Amy Chartoff, Lisa Klein, Randi and Sean Irby, Lauren Rowland and Aaron Fischer, Pearl and Ron Waxman, Cheryl and Richard Alicchio, Virginia Gitter, Carol and Jerry Bodian, Fanny and Michael Fishbein, Sandy Zornek, Jody Pugach, Rachel Capote and Norm Rosen. A very special thank you to Marilyn Katz for coordinating with "Family Promise" and for being involved throughout the process. Our High Holy Days food collection brought in approximately 50 bags of groceries. What a wonderful showing by our very generous congregants! Thank you also to Norm Rosen for picking up the bags [donated by Shop Rite] and for his help in attaching the list of needed grocery items. Please remember also that we will collect food items when we host the Leonia Interfaith Thanksgiving Service on November 21st. Monday, November 6th is Mitzvah Day. This committee, along with the religious school, collected school supplies to be given to children in need. On Sunday, December 11th, tables will be set up in the social hall, each one representing an organization working to "heal" the world. For each donation of $1.80 and up (your discretion), you will receive a blank greeting card (beautifully designed by Lauren Rowland) along with a small, business-sized card, stating that a donation was made (in honor of whomever your recipient is) and to which organization. These make very special gifts from a child to a family member, for the person who has everything, as part of a larger gift, etc. It's a win, win for everyone! Also, the program is taking place just before holiday time. Please plan to shop with us. Students from our religious school will be attending at 11:30. They will be met with a short presentation. Parents are asked to join them. We hope that YOU will join us, too. Please stop by between 12 noon to 1pm (ish). Thanksgiving Day is oh so close. May yours be filled with loved ones and lots of stuffing!